E-books continue to be an area of growth for publishers. What once equaled about 1.5 percent of a publisher’s sales is steadily growing and accounts for as much as 5 to 7 percent in the U.S., varying by publisher and genre. As sales continue to grow, the desire for features, services and the amount of e-book titles also expands. E-book lending is one such feature that has seen a rise in the past year, thanks to programs from Barnes & Noble, Amazon and other players. As discussed in a new research note at GigaOM Pro (subscription required), the space can be broken into two business models: the consumer model, which serves casual e-book users, and the library model, more geared toward schools, universities and governments. Lendle. Lendle is a third-party e-book lending service that utilizes Amazon’s API. The service allows users to sign up and submit their library of Kindle e-books to loan out to other Lendle users. It operates on a give-and-take basis: In order to borrow others’ e-books, users must lend their own out. Lendle works with all the Kindle apps as well, whether on iPad, iPhone, Mac, PC, Kindle device or other hardware. The service is currently only available in the U.S., but as Amazon’s lending service increases worldwide and more publishers allow titles to be lendable, both Amazon and Lendle will increase their user bases significantly. BookLending. Currently in beta, BookLending is focused on Kindle e-books only. It also works off the Amazon API for lending and follows the same rules as Lendle. A nice feature of BookLending is that you can click on a title and see a list of people waiting to borrow the book, as well as who has waited the longest, then choose to whom you want to lend your e-book. The service is similar in many respects to Lendle in that it opens up the channel of discovery of borrowers and lenders. In that respect, BookLending will need to differentiate itself before it is consumed by another similar or better service. LendMe. Barnes & Noble has over 200,000 titles that are lendable through its LendMe program, and these are searchable by title — a huge plus both for users wanting to search and for authors wanting their titles discovered online. Like Amazon, however, titles can only be loaned once. Unlike Amazon programs, a LendMe user is not tied to the B&N website when it comes to checking out e-books; she can do so from her online account, her Nook or a Nook app. EBook Fling. EBook Fling works with both the Kindle and the Nook, which is a strategically smart move, since it puts the service ahead of many of the others in terms of device compatibility. The service also works with apps for Android as well as iOS, which means that millions of users are potential lenders and borrowers of eBook Fling’s e-books. The library model is slightly more complicated, and there are systems in place that work quite well for the consumer market that don’t translate to the library world. 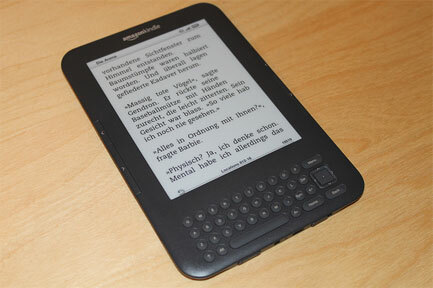 For example, in the consumer space, an e-book can generally only be lent to one person at a time. But libraries are in need of multiuser models. Trying to force a one-user model for fiction into a library, for example, is not useful to a library with 30-plus patrons trying to access the same content. Amazon had partnered with OverDrive, an e-book and audiobook distributor, to deliver an e-book lending service to 11,000 libraries in the U.S. The service is set to launch later this year and will likely address the multiuser versus single-user issue, along with several other challenges cropping up in the e-book space. For more on those as well as a look into the coming months, read the full report at GigaOM Pro (subscription required). The real problem is figuring out what books in your Kindle library are lendable. I have over 600 kindle titles in my library, and I went very laboriously through several pages of books to find out which were lendable. None yet. I’m also told that a lot of books that were lendable are no more. Why did you list only 4 of the 8 lending sites? What was your criteria for choosing them? Great writeup of Lendle (and some of those other guys :) over at GIGAOM. Just to add to what Jeff said, Lendle is also the only lending site which actually pays its users: Our Lendlers earn $0.50 for every lend, and our Patrons (Lendlers who have upgraded via a one time $25 fee) earn $1.00 for every lend. We then pay out a $10 amazon gift card when a Lendler reaches $10. We just sent out our first round of payouts and even though we’ve been running this program for less than a month — one of our power users is already pushing past $100 in gift cards. Many, many others are earning multiple cards, as well. Even before our “it pays to lend” program, we were incredibly impressed with our community’s willingness to lend — often within seconds — and now it’s gotten even better. Thanks for the writeup!